I hope you are enjoying SimplyStylishSundays and meeting some of my team. 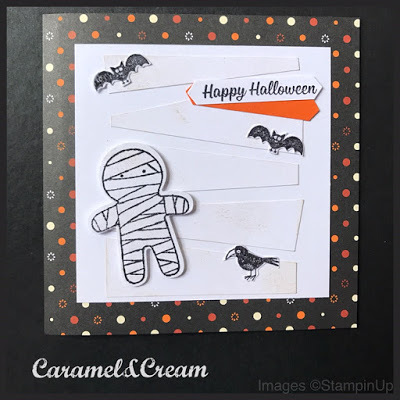 Today I want to introduce you to Rachael, a lovely lady who was one of the first SimplyStylishStampers and actually came up with our team name. Rachael, has a fabulous blog, Caramel and Cream, and a great YouTube channel, click HERE to check her out. I really love her regular series, Slide Back Saturdays. Don't we all have a collection of older stamps, dsp etc. that we rarely use? Well Rachael's series is all about inspiring you to dig them out, mixing gorgeous new product with some old favourites. Her posts are like a walk down memory lane. 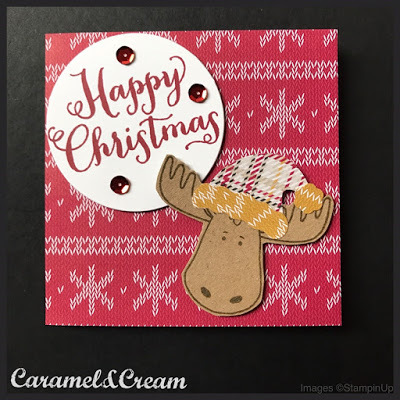 This was a card she shared yesterday - I love this little moose so much and the Warmth and Cheer dsp was one of my favourite ever - you can still pick this paper up in the clearance rack at a bargain price right now! I also love these cards from a few weeks ago. 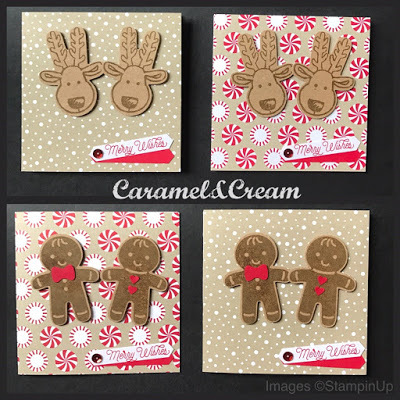 Cookie Cutter Christmas was such a fabulous suite of product, the gorgeous DSP may be retired but the fabulous stamp set and punch are still available - seeing it used again here has certainly inspired me to pull it out again. And finally I just had to share this card - just because I love it so much. I hope you have enjoyed Rachael's gorgeous creations. Do head over and check out her blog - there is a lot more to see.